I love this book! The little girl with the big bright eyes looking up caught my eye as soon as I saw it! This is a brilliant way to teach your children about the presence of God! 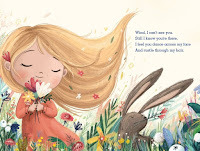 The book is the perfect size for little hands and my three-year-old absolutely loves it! The pages are perfect thickness for being a board book, not to thick but make little ones feel like they are reading a real page book! 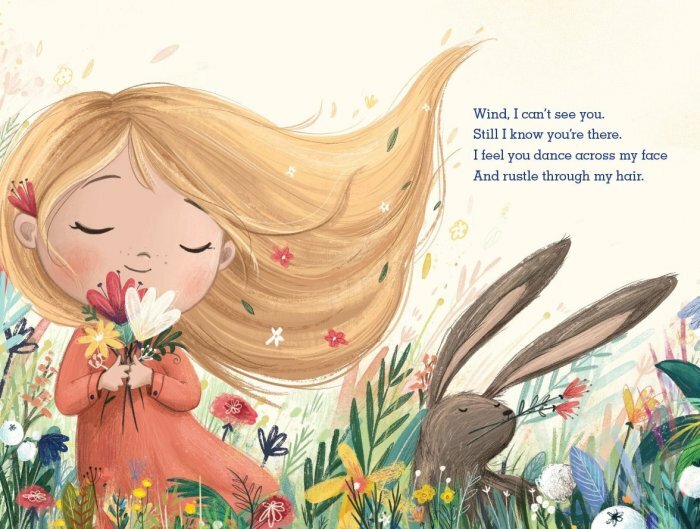 I love how she explains how to feel God is there, my favorite page was the first page that explains that you can feel him in the wind! From snowflakes to thunderstorms everything is explained perfectly in this bright colored book! The illustrations are amazingly detailed and well thought out! Making this the perfect book for little ones all around! I received this book from the publisher but all thoughts are my own! 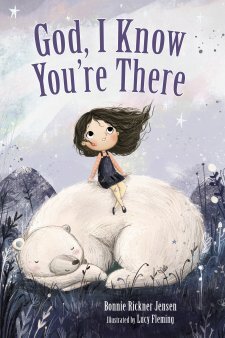 True You Michelle DeRusha-Last year was a hard year, True you by Michelle DeRusha spoke to me on so many levels. It is such a wonderful book to start the new year out with but this book is great anytime you need to look into self-reflection. She gives me the tools and hope that I need to be my true self. She Starts with chapter one explaining how we clutter our lives, minds, and souls all while using examples from her own life that make it feel like you are talking to your best friend. She speaks the truth throughout the book but one line brought me to tears, " Our own souls will tell us where we are broken and in need of healing. It's easy to get overwhelmed when talking about finding your true self and letting go of your false self, what does that even mean? I am not sure how that makes me feel, because we all use masks as a way to shield ourselves from pain. The process of falling and allowing ourselves to go to dark places of our soul is where healing truly begins and that is what this book is about, finding yourself under all of the darkness to expose the light of your soul. Its finding freedom in Christ to live your best life. I was sent a copy of this book from the publishers but my review is completely my own. This is a beautiful book meant to take you on a 20-day journey of praying Gods will for your life. It's about building habits and laying a solid foundation in Gods truth. This book will truly transform your life if you let it. I love the tools of truth throughout the book, it will help you learn how to pray more meaningful prayers. I love the journal space in the back of the book to help me see my progress over the 20 days. This book was sent to me by the publishers. This is a wonderful book to help any married couple, no matter how many years you have been married. Right off the bat, he reminds us that love is a choice that we have to make. Choosing to love the person for better or worse is an intentional everyday thing even when faced with tough choices. I love how he reminds us that if we make better choices relationships get better and we become happier people. I think he has amazing insight in such on how to communicate with each other. The way he explained the 10 rules for positive communication was honestly eye-opening for me. Even if you and your significant other don't fight, this book is a really good resource to read to help better understand each other. I love how he reminds us of choice through the book but the best part was reminding us that loving one another is a choice that we will make daily. I received this book from the publishers. I have enjoyed reading this book, I have lived in the same place for most of my life this book has given me a new outlook on living in the same place. This is such an inspirational read if you are feeling stuck, the author tells her story throughout the book of following where God has led her. If you want to go from just existing in your neighborhood and home this is the book for you! I love her reminder that its a lifestyle and you have to choose to stay where you are. If you are looking to read a book about your purpose this book will help you so much! We are placed where we are meant to be, but sometimes we need guidance to figure out what that is! This book challenges you to dig deeper and figure it out! Go on this journey to loving where you live! You won't regret it! I received this book from the publishers, all thoughts are my own. This book is wonderfully written and helps you understand how your physical, mental, emotional and spiritual wellness all goes together. He covers the importance of gratitude, forgiveness, sleep and so much more to help us see how those things affect our health. The books help us understand why we need to pray and have an open conversation with God. I love the reminder that I am never going to get everything done and how to manage having a less stressful life. I like how they teach you small steps to having a better life, its not an overwhelming change that makes it hard to stick to. There is some amazing advice packed in this book. Its a great read to start the new year with but to read any time you are wanting to change your life for the better. I received this book from the publishers, all thoughts are my own. If you are like me and you struggle with anxiety this is the book for you! Its truly like talking to your best friend. I love how its broken down into three parts My fears do not define me, my fears will not defeat me and my fears aren't forever. I love how she took the time to introduce herself and how she was scared for as long as she could remember. She tells about her fears from cancer to black widows but she does it in a way that seems funny, rather than scary. She talks about award phases as she is growing up and how she dealt with them She really pours her heart into the book to help you understand why she is writing about fear. Although with a few giggles in between her message is clear she is directing you straight to the cross. She has a beautiful testimony that is so true to your own life. It's such a wonderful read. I received this book from the publishers but the thoughts are my own.